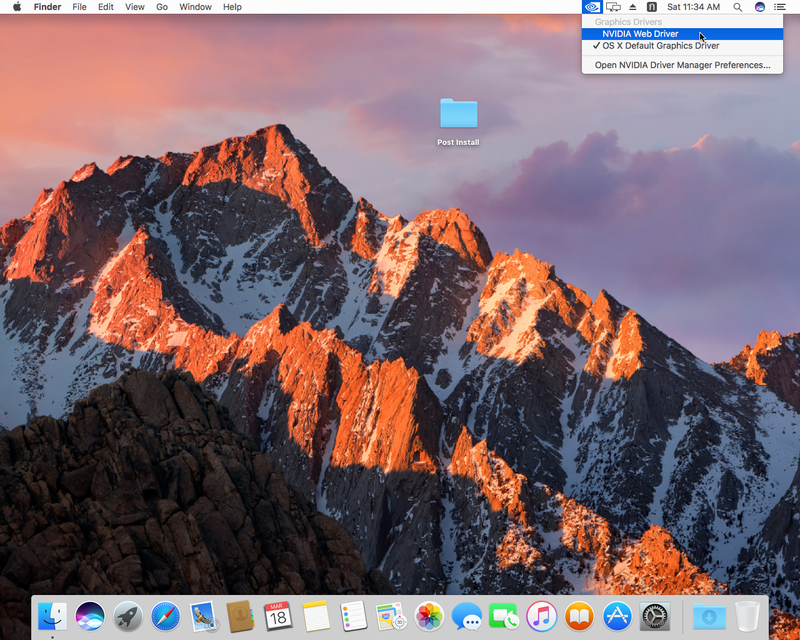 This is my first time installing macOS Sierra on desktop pc ( Hackintosh ). 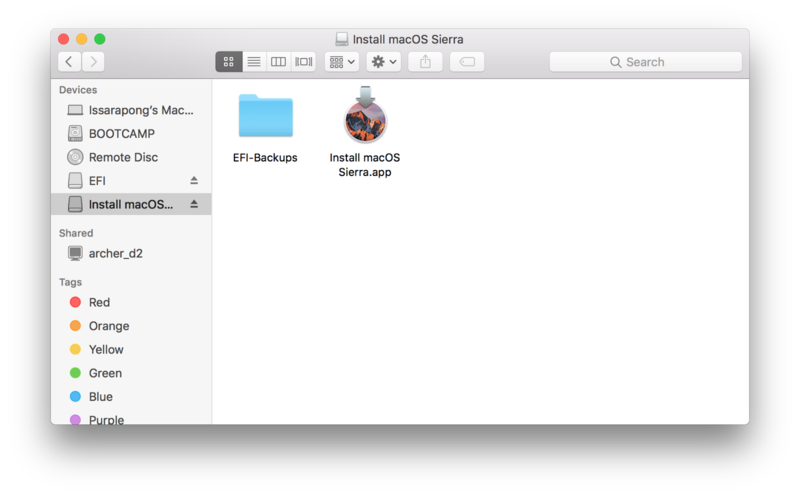 I encountered may problems while I was trying to install mac OS Sierra. In this article, I will share my experiences what problems I encountered and how I fix it. 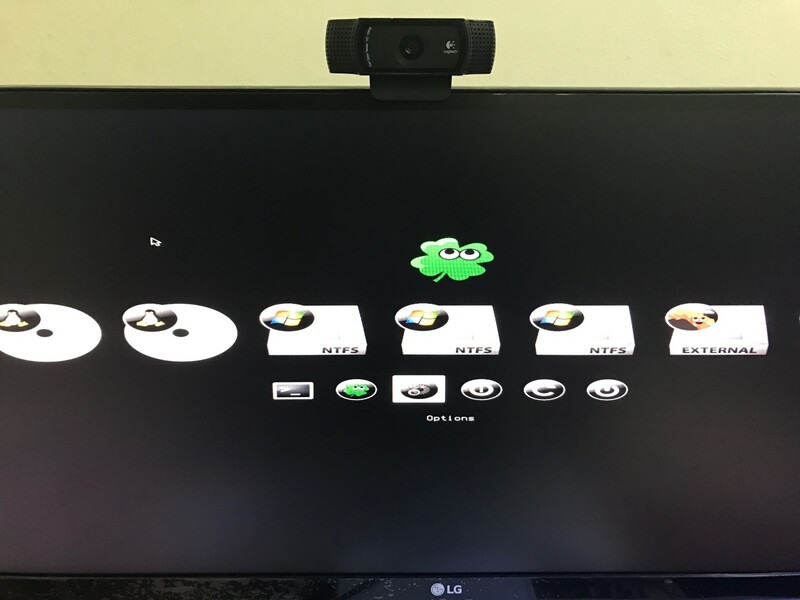 Is your system support hackintosh ? 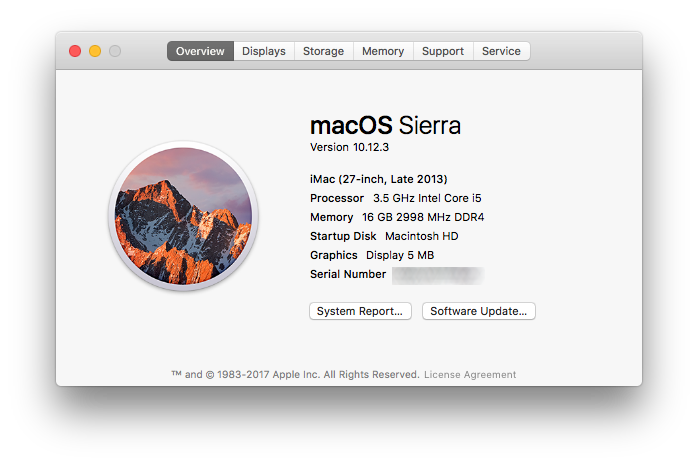 But if you don’t have your system yet, just build your system with these hardware. 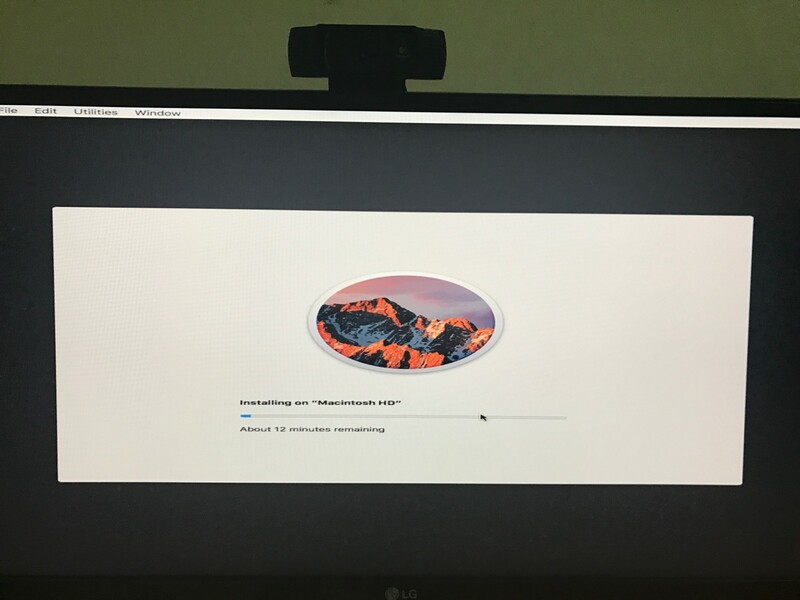 So you can be sure that Hackintosh will be working 100% on your system. ** NOTE : Nvidia WebDriver now support GTX Series 1000 and lower. 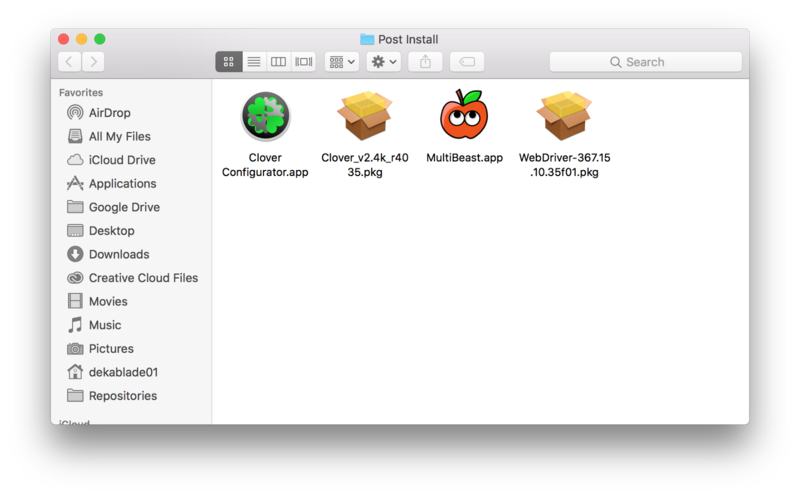 After you get all these, let’s start to make a bootable macOS 10.12.3 Installer. 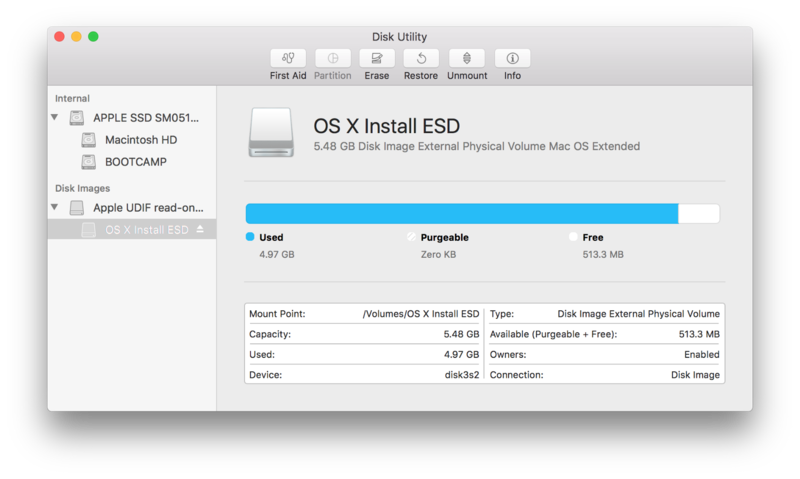 Make sure that your macOS is NOT mounted “OS X Install ESD” by go to Disk Utility. 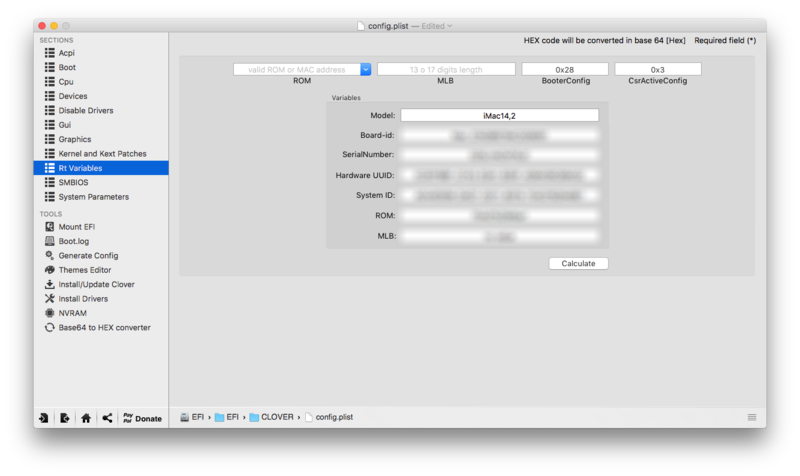 If your macOS is mounting “OS X Install ESD”, just unmount it. 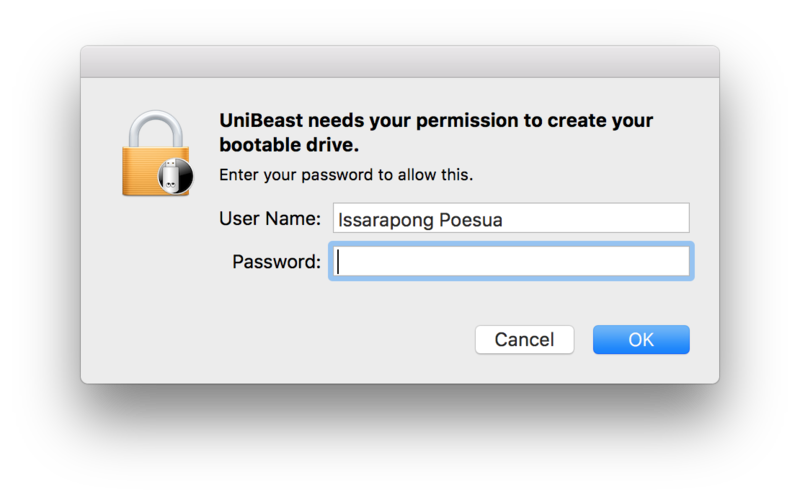 Then we’re really ready for create bootable macOS. 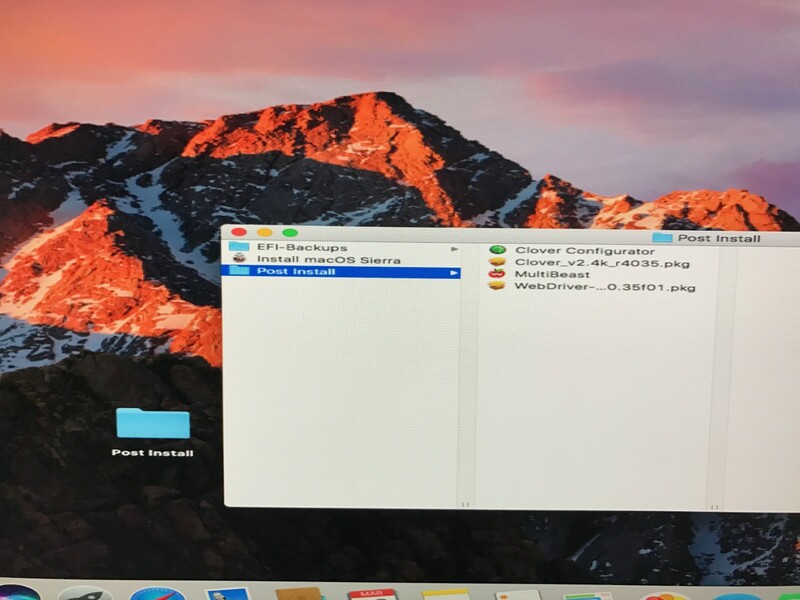 Start with connect USB Flashdrive to macOS and make sure that your Flashdrive is Mac OS Extended ( Journaled ). 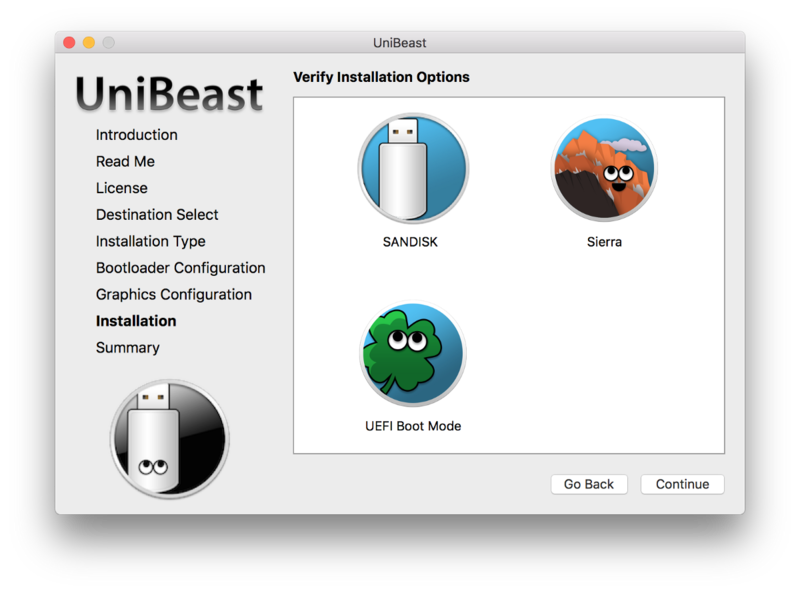 Unibeast will show you, for you to make sure that these are what you want in your bootable USB, then click continue and unibeast will need your permission to create bootable USB. 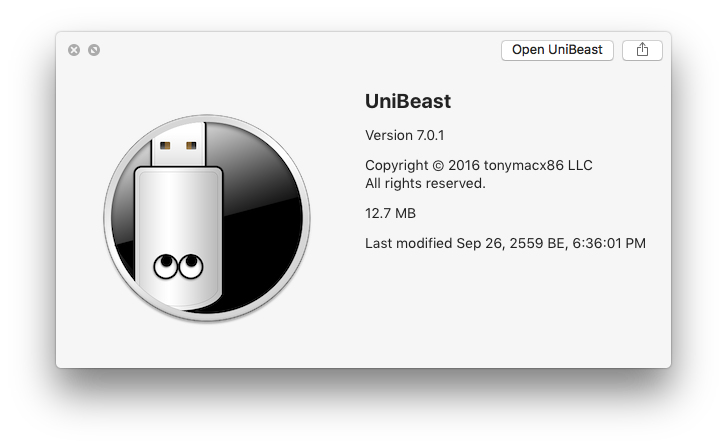 Unibeast will show this, when completed copying files. 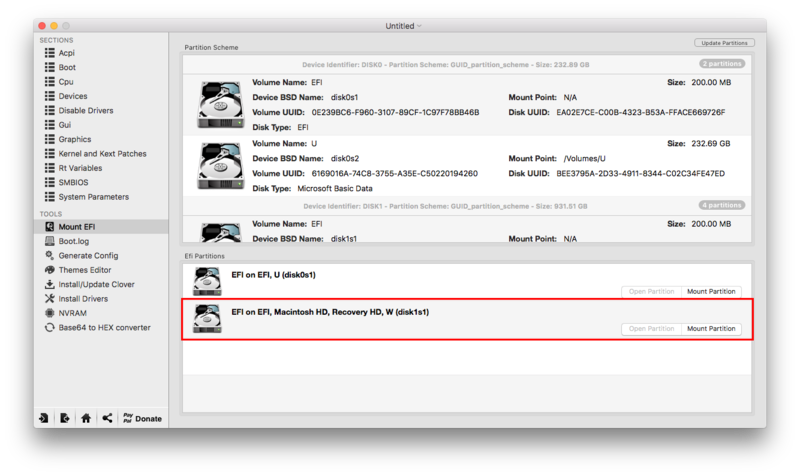 Your USB Flashdrive will contain 2 Partitions are partition you created ( Mine is Install macOS Sierra ) and UEFI partition. 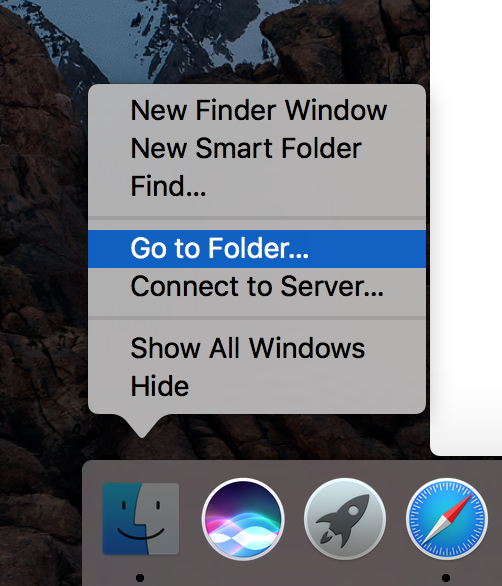 Drag this folder or files to your created partition. 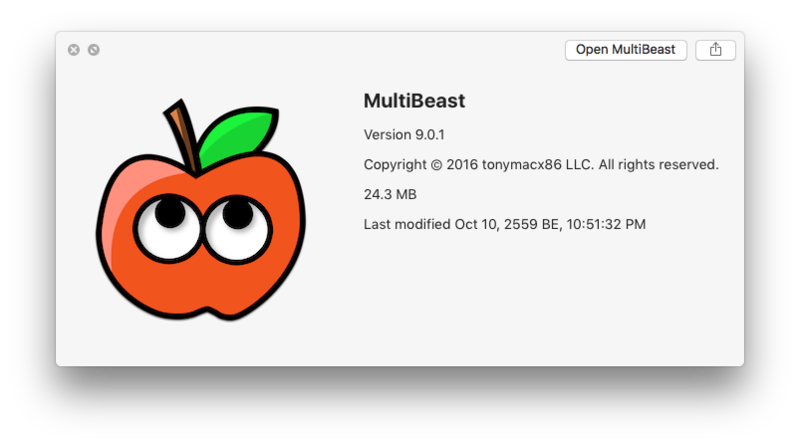 Now your bootable macOS Sierra 10.12.3 USB is ready to install on your system. 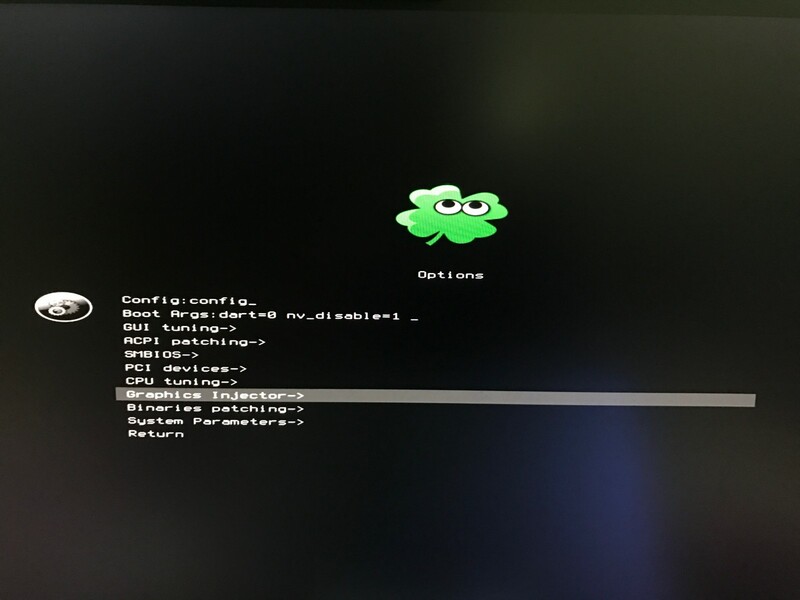 Now turn on your system and acess BIOS/UEFI by press on DEL key while your system is booting up. 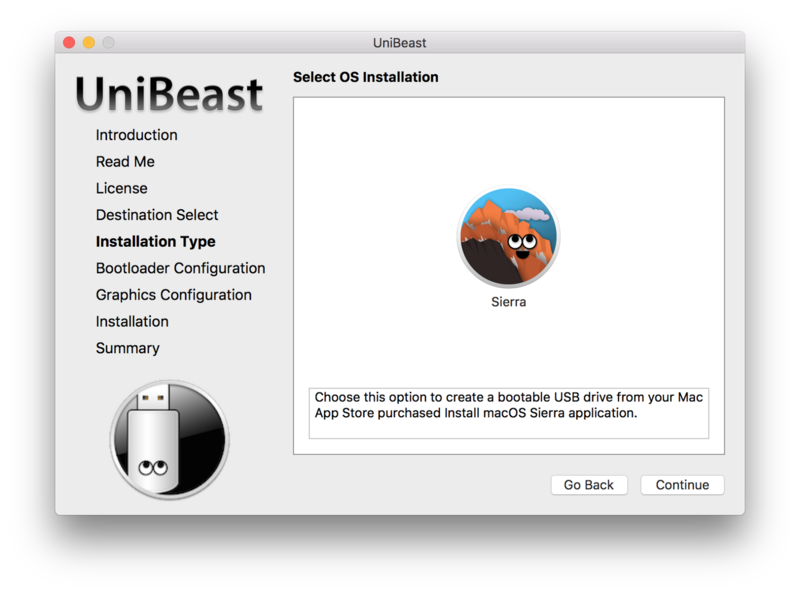 Connect your bootable USB macOS Sierra 10.12.3 to your system ( USB2.0 ) then start your system and boot with your bootable USB. If you have Nvidia Graphic Card. 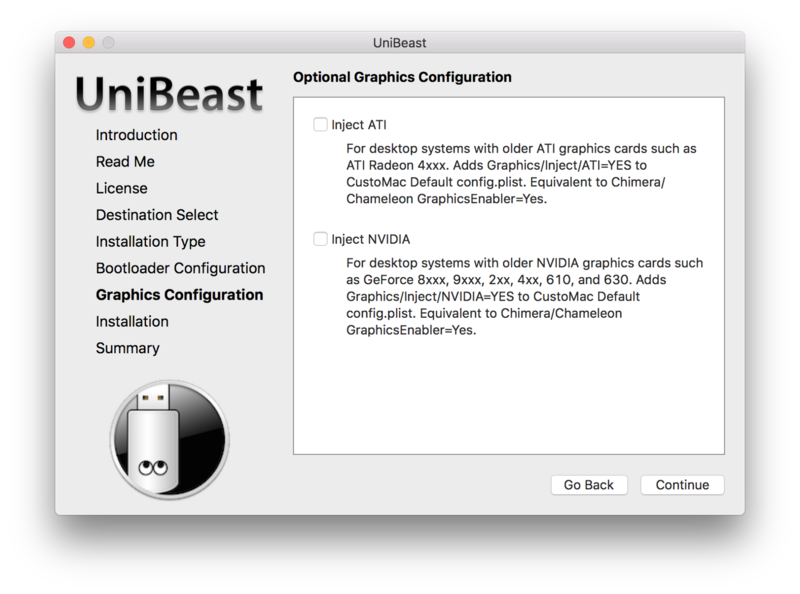 Make sure that you aren’t inject Nvidia Driver and disable the Nvidia by go to Options. In Boot Args make sure that you have nv_disable=1 and dart=0. If not, add it. 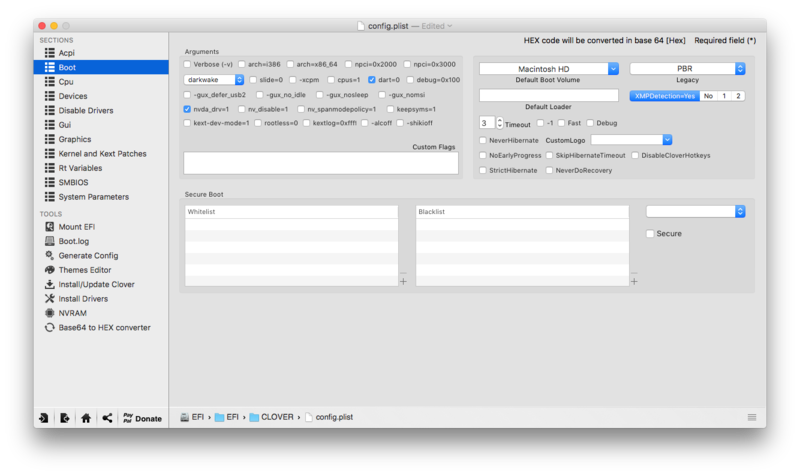 Then go to Graphic Injector. 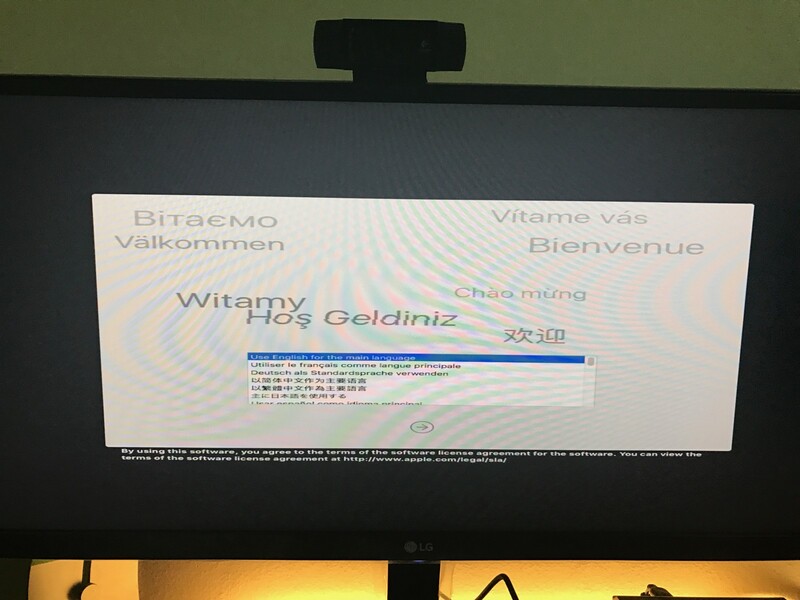 Don’t InjectNVIDIA and don’t use Nvidia Web Driver. 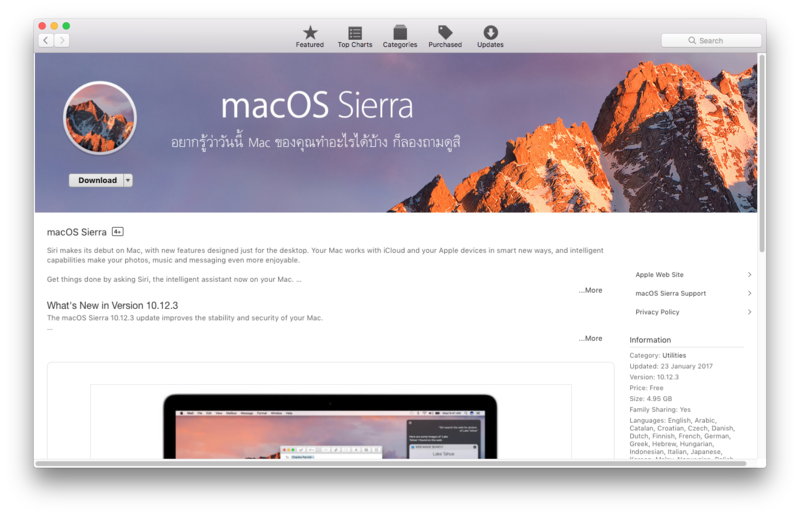 Now you’re ready to launch macOS Installer. Hit return and return. 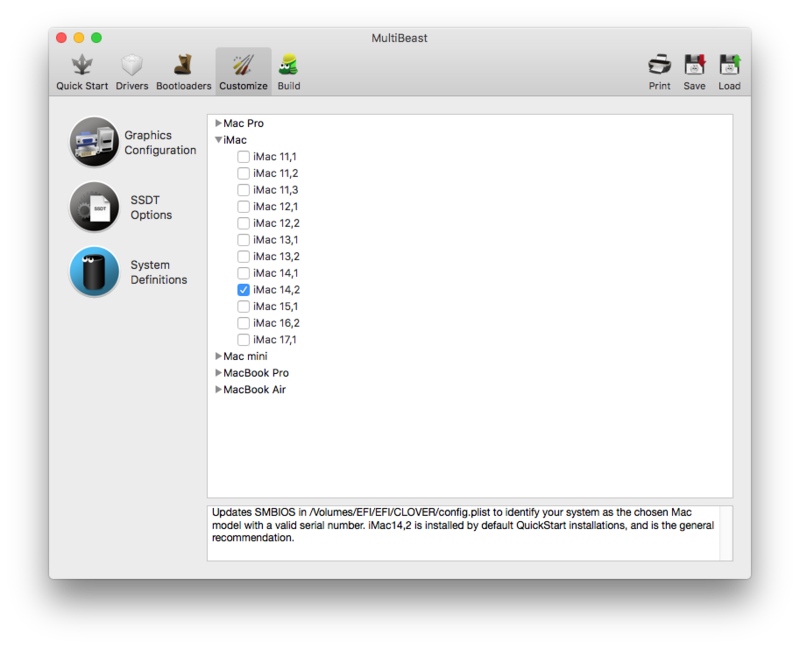 Then select “Boot mac OS X from [your bootable partition name]”. 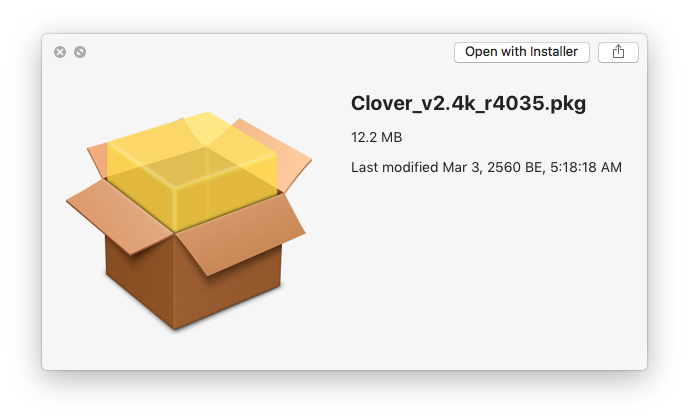 Apple logo will show up and load macOS installer. If your loading progress bar stuck. 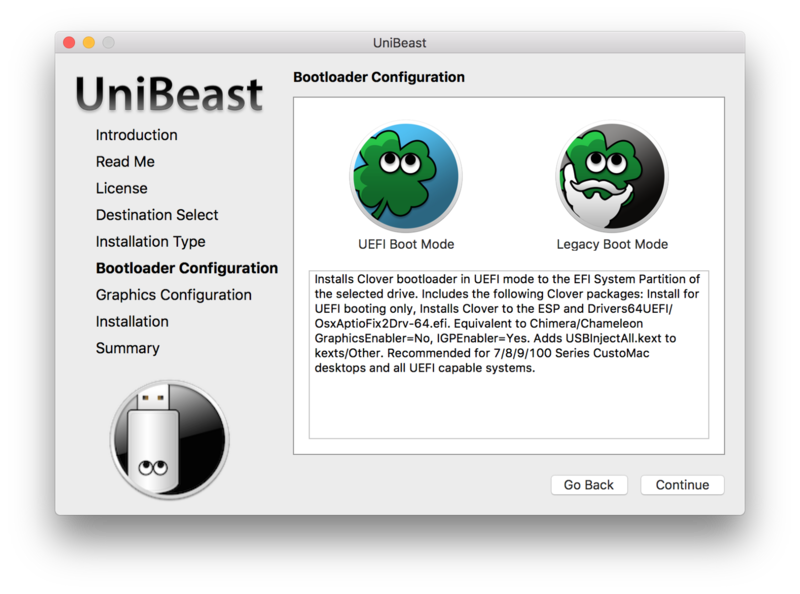 It’s mean that your BIOS configuration or you did something wrong, check it and boot your bootable USB again. But if everything are correct. 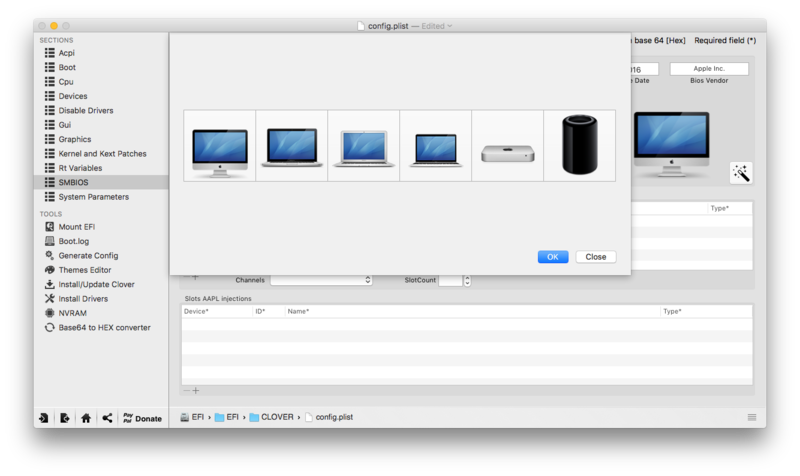 Then you see this screen. 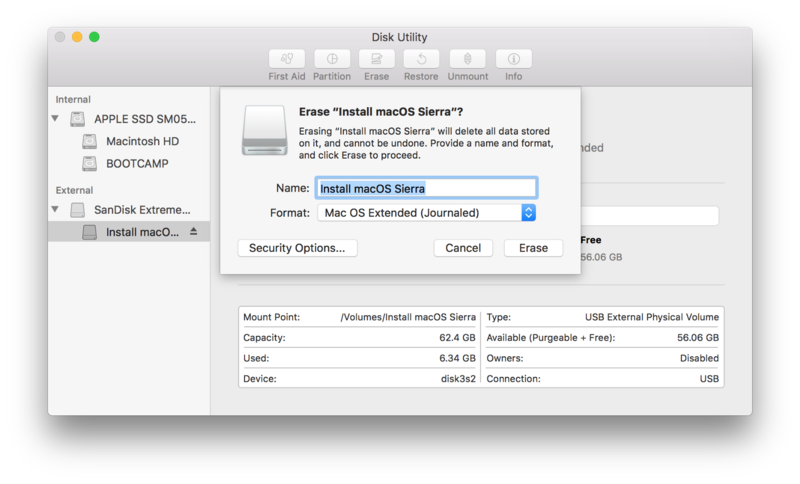 Select Disk that you want to install macOS Sierra and click on Erase or Partition. 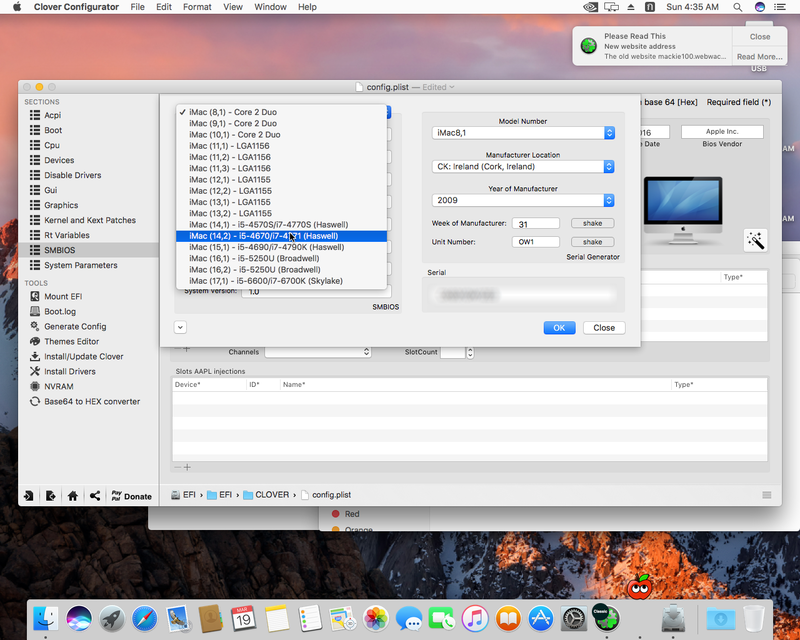 After created “Macintosh HD”. 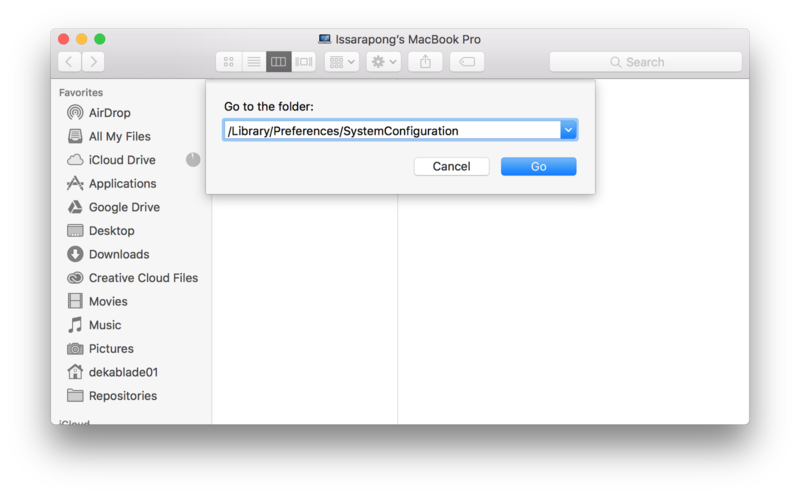 Close Disk Utility, select partition that you created and continue to install macOS. After complete this, your system will reboot. NOTE !! 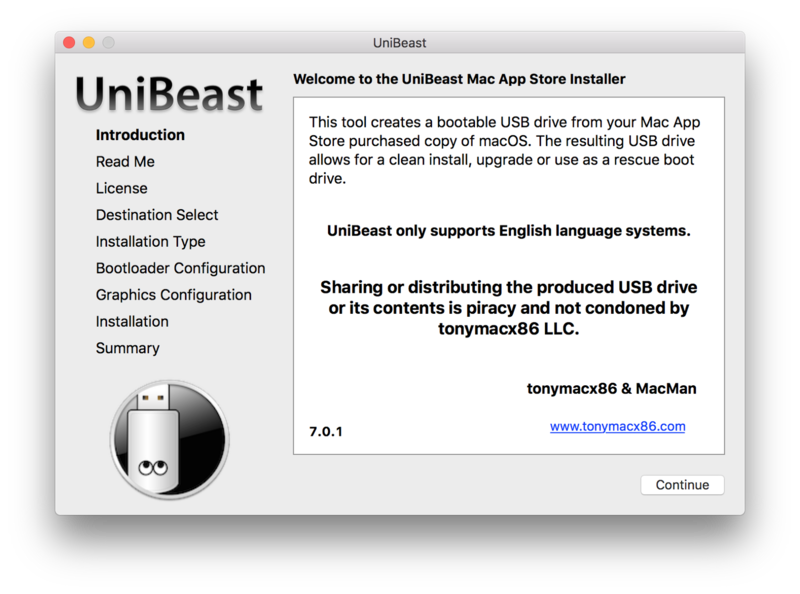 : Don’t remove your bootable USB yet. 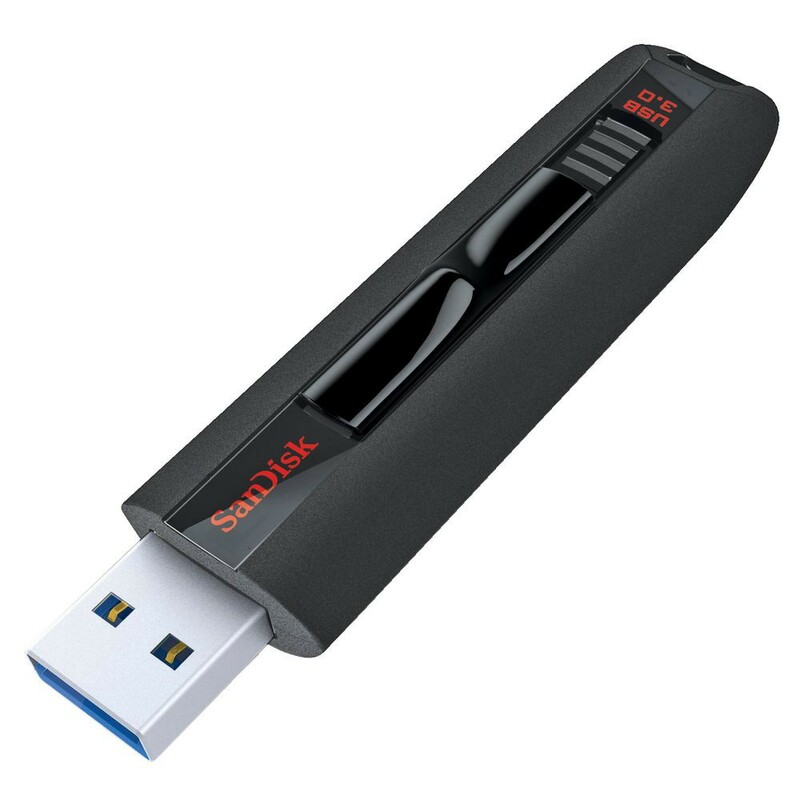 Still need bootable USB. 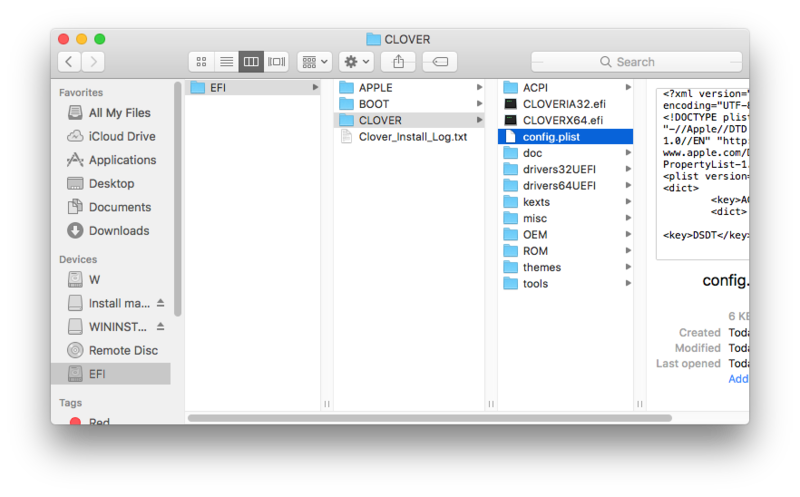 When Clover Boot Manager appear go to option and make sure that it don’t inject Nvidia and don’t use Nvidia Web Driver, then select internal_hfs ( Boot Mac OS X from [your created partition name]). 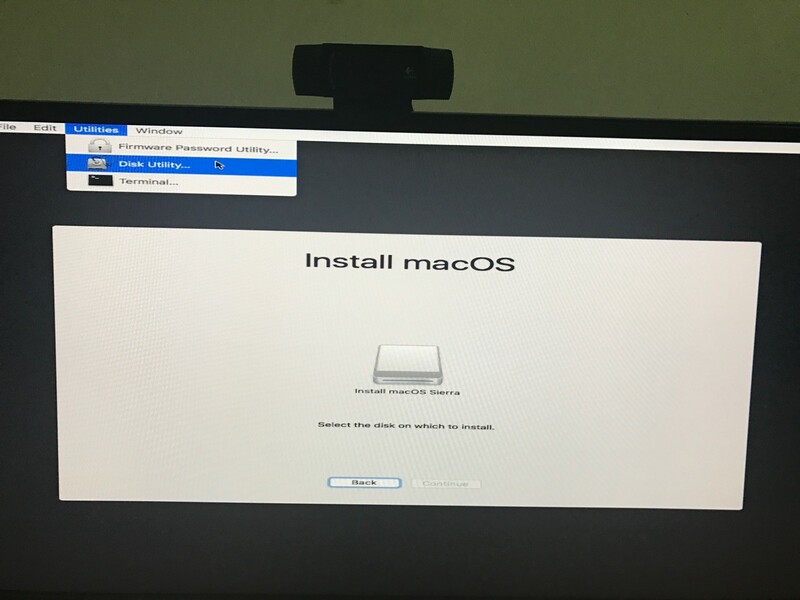 Now you got Hackintosh on your system. 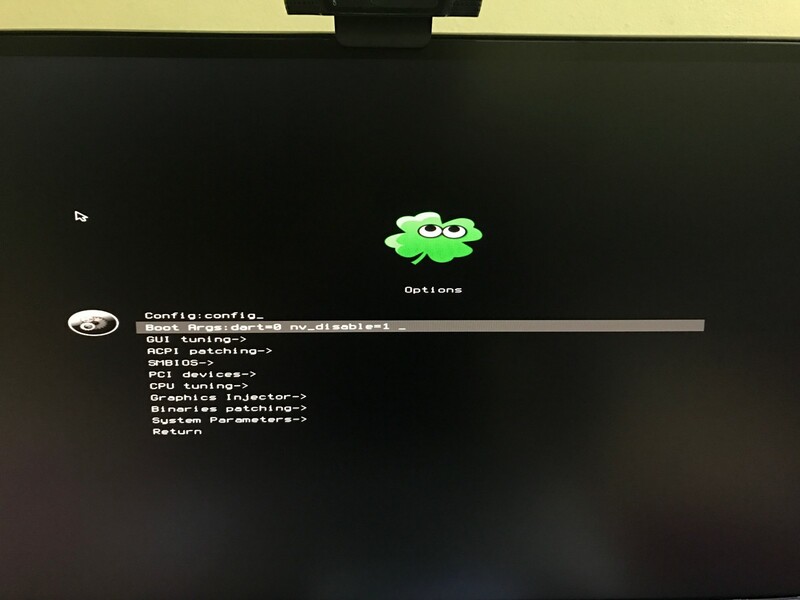 Setup it as you want. 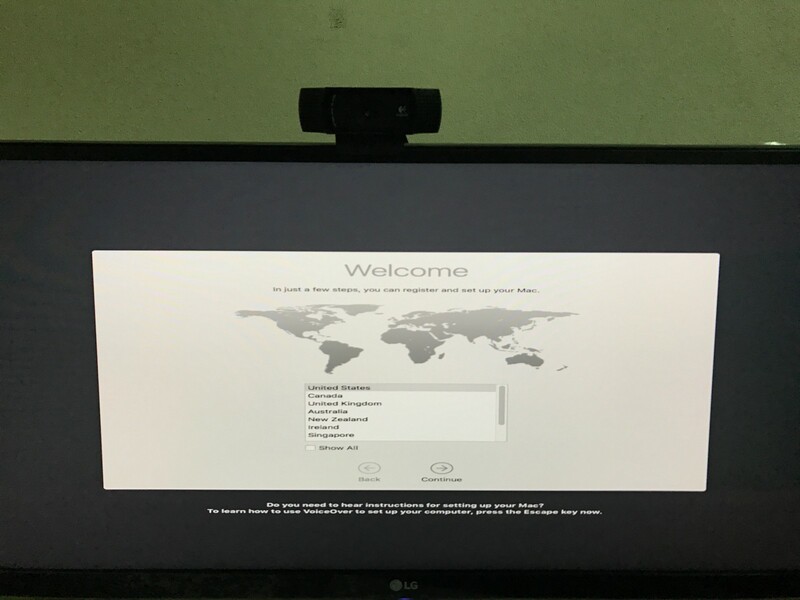 Your Hackintosh is working now. 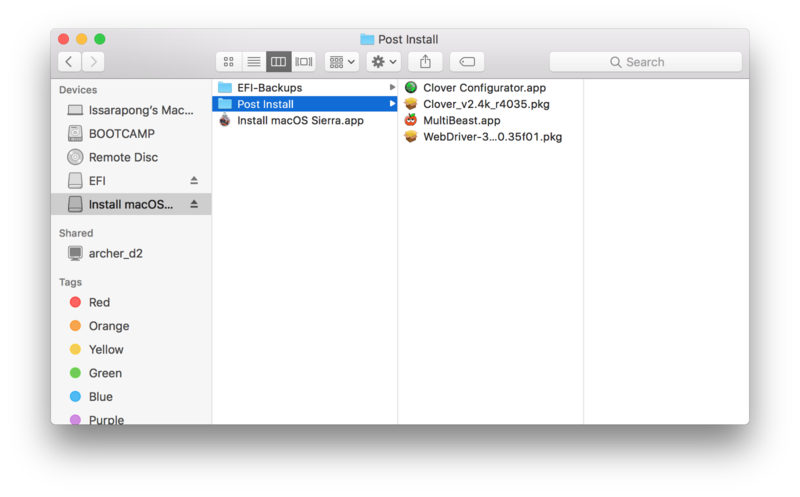 What you have to do next is install driver to your Hackintosh By Drag “post install” folder that you created to your Hackintosh. 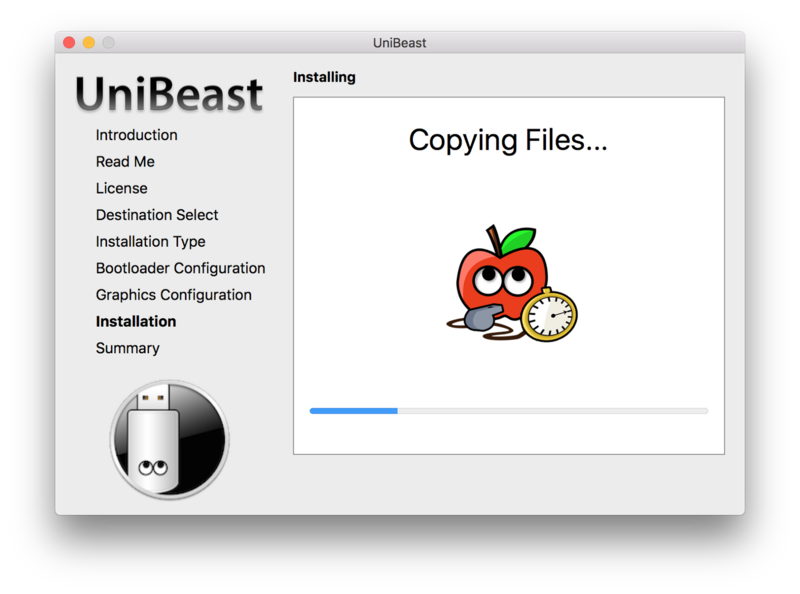 Now you can remove your bootable USB. 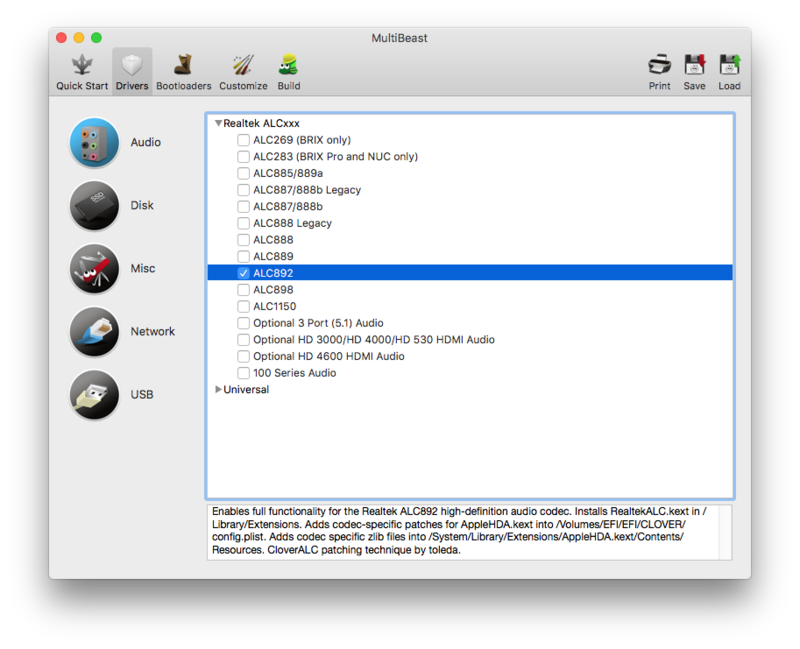 In Drivers Tab Check on Audio and Network That you have. You can check your hardware in Buyer Guide. Other just leave it default. 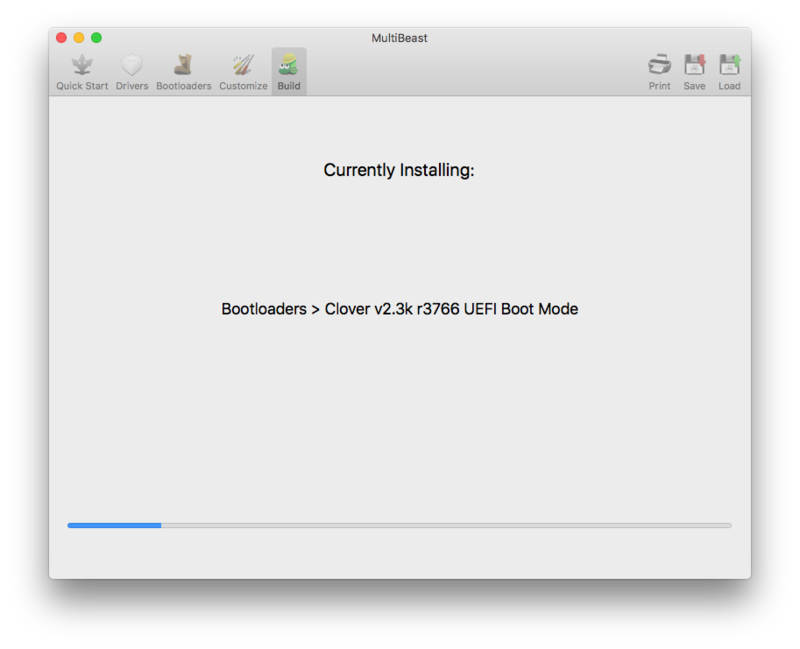 In Bootloaders Tab check on UEFI Mode. 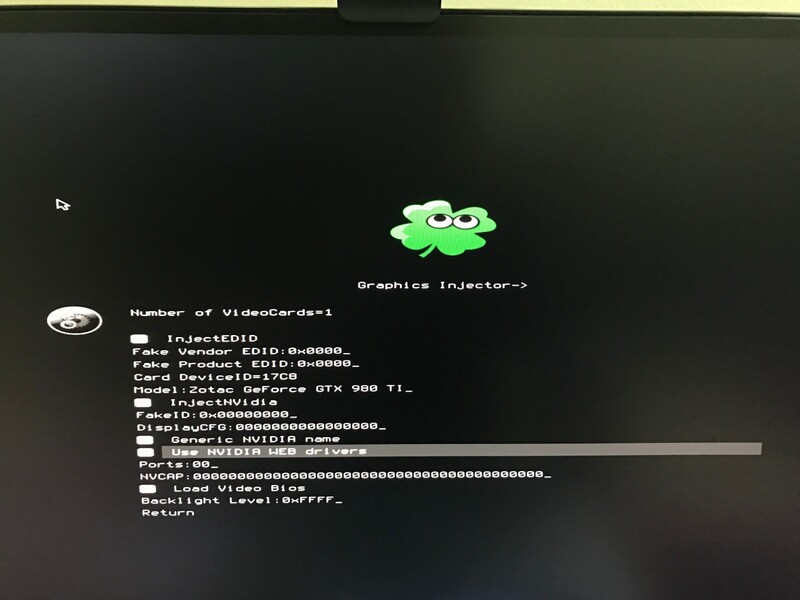 Don’t check anything if you have Nvidia 700 or 900 but if you have Nvidia 600 or lower check on Inject NVIDIA. 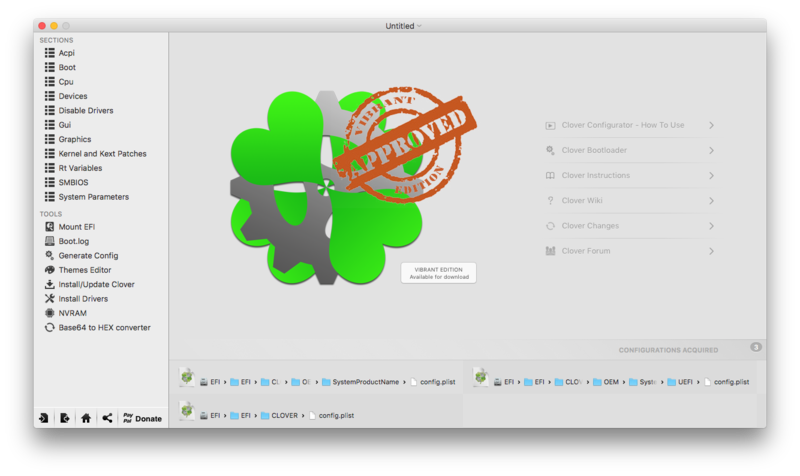 In Build Tab click on Install and agree. 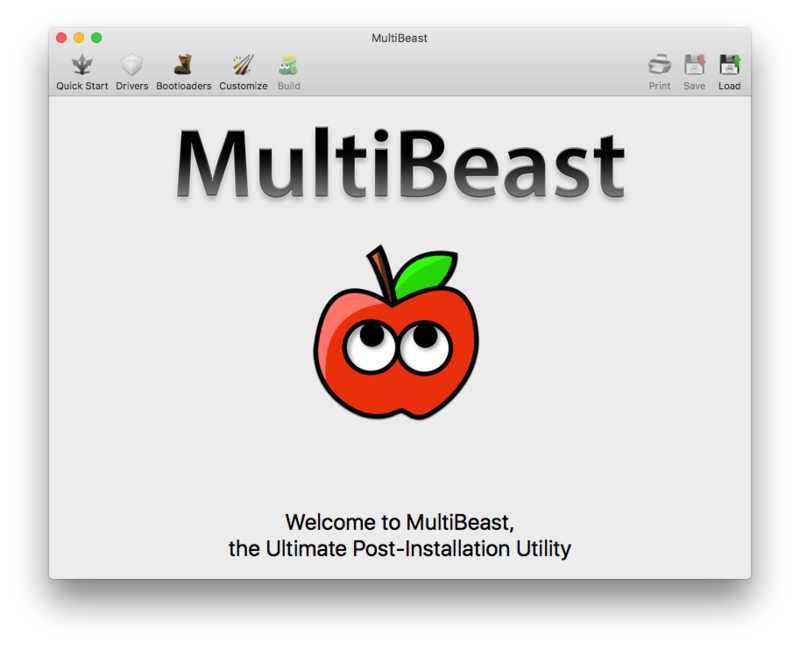 Multibeast is installing drivers to your Hackintosh, wait until it finish. 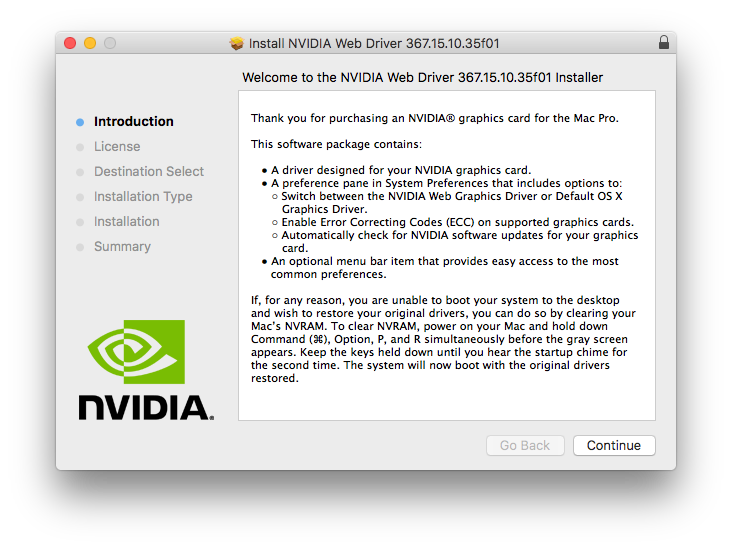 Install Nvidia Web Driver, but don’t restart your Hackintosh yet. 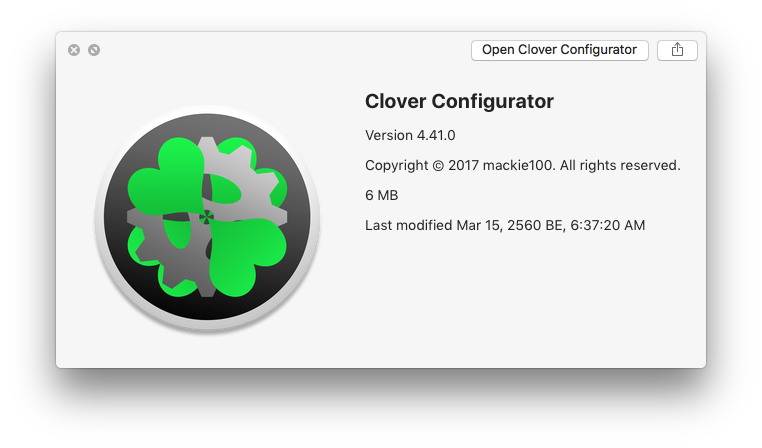 Open Clover Configurator. 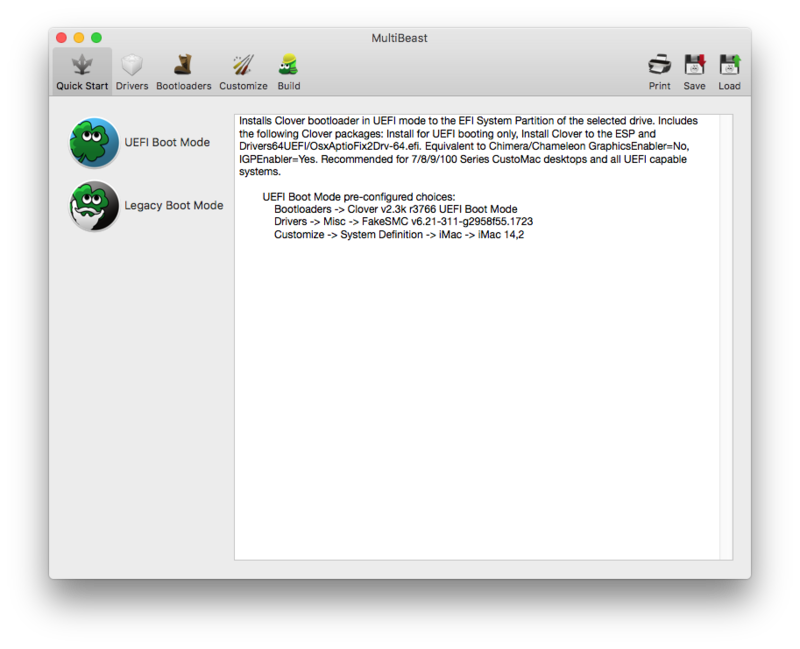 Open Finder and check that is EFI Parttion is Mounted ? 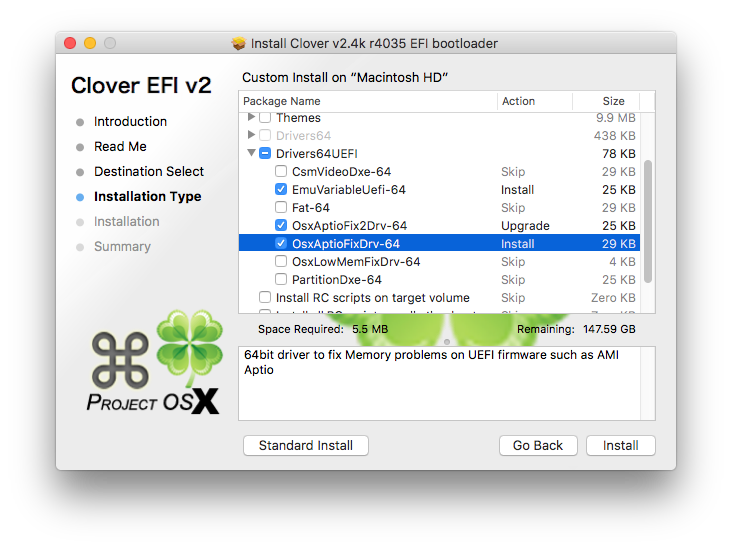 If NO, In clover Configurator, go to tab Mount EFI and mount your Hackintosh EFI. Then follow YES. If YES. 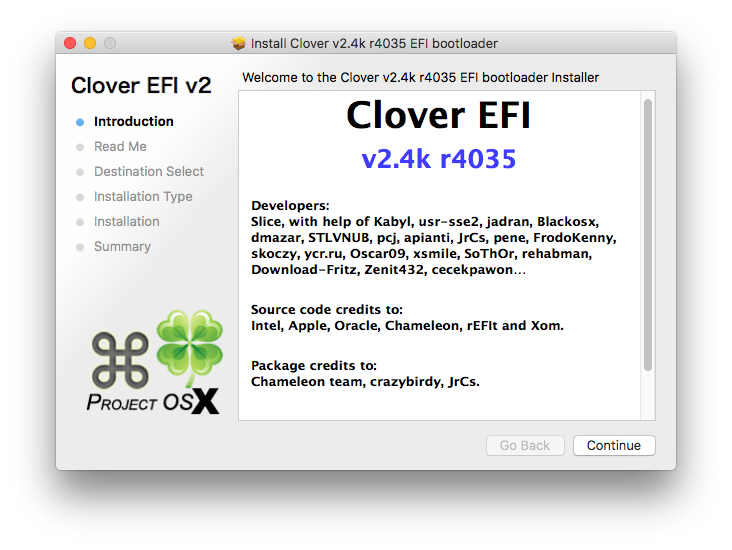 Open EFI/EFI/CLOVER/config.plist with Clover Configurator. In Rt Variables click on Calculate. 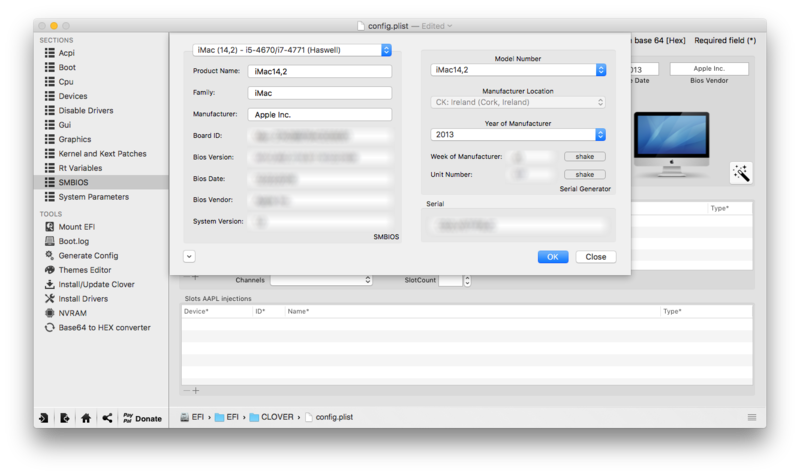 Select iMac 14,2 then click shake at Week of Manufacturer and Unit Number. 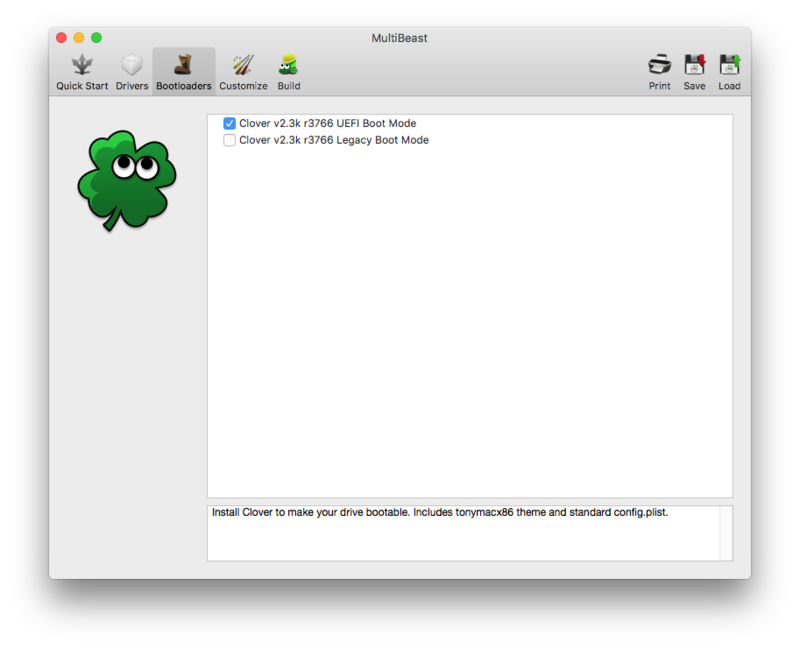 Then save config.plist and close Clover Configurator. 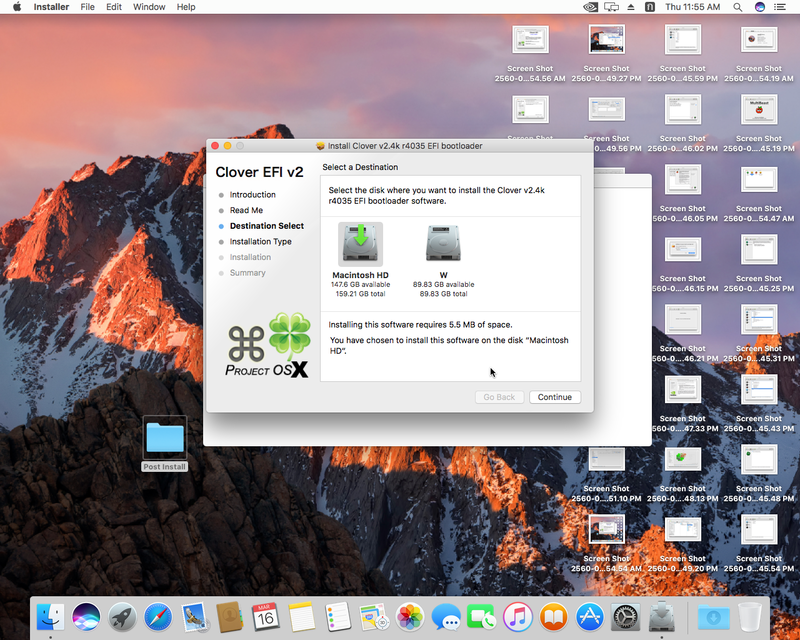 Now you can restart your Hackintosh. 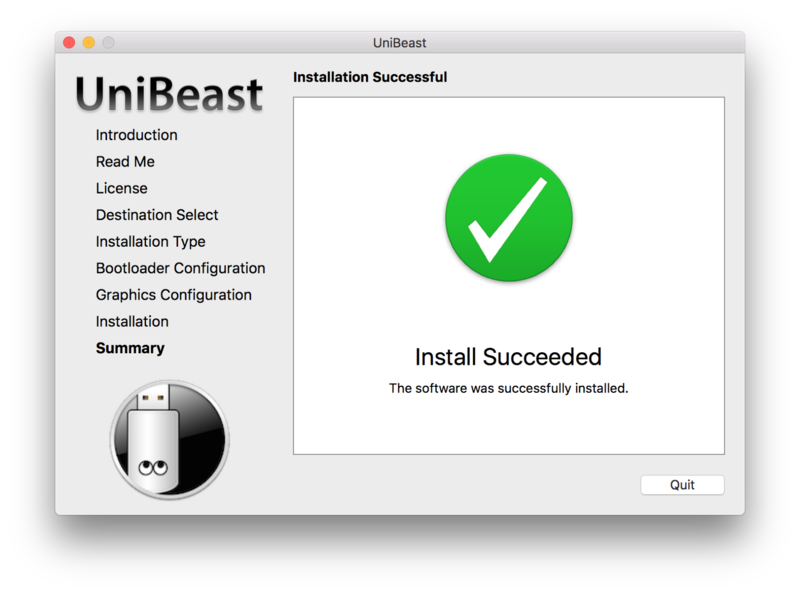 Installing seem like it’s all done. 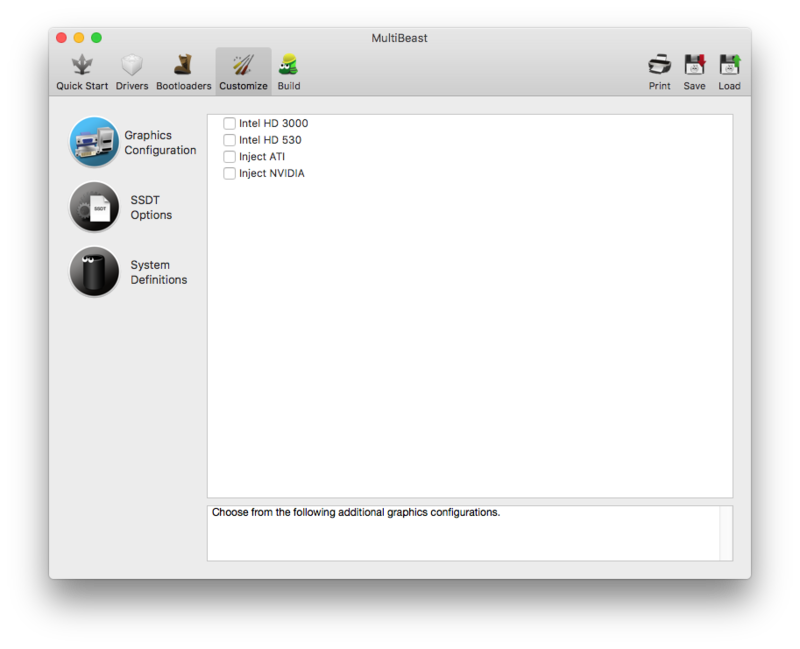 But my Nvidia Graphic Card is not working. There is something wrong here. 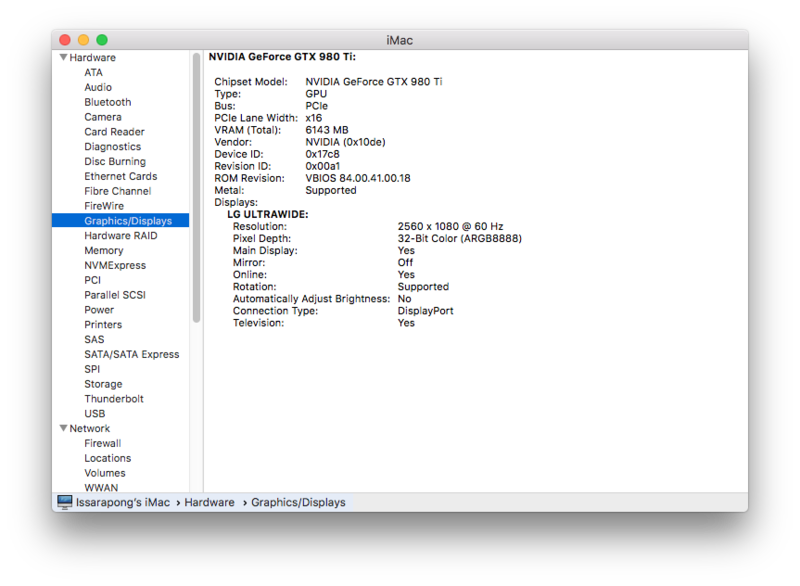 It should be Nvidia GeForce GTX 980Ti. 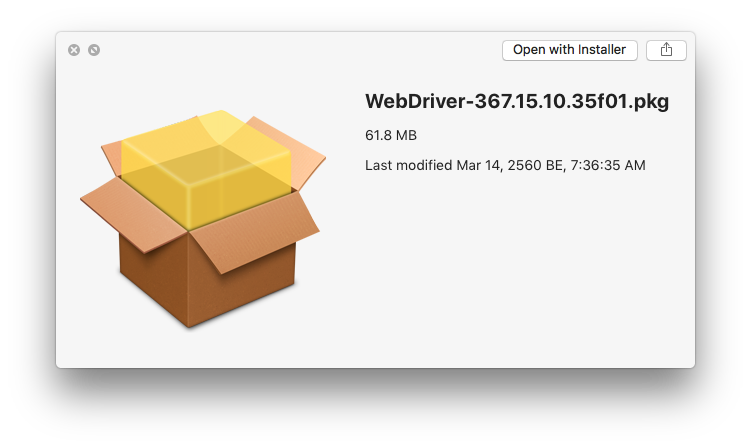 So I go to top right, click on NVIDIA and change to Nvidia Web Driver and Restart and the graphic changed back to OS X Driver. 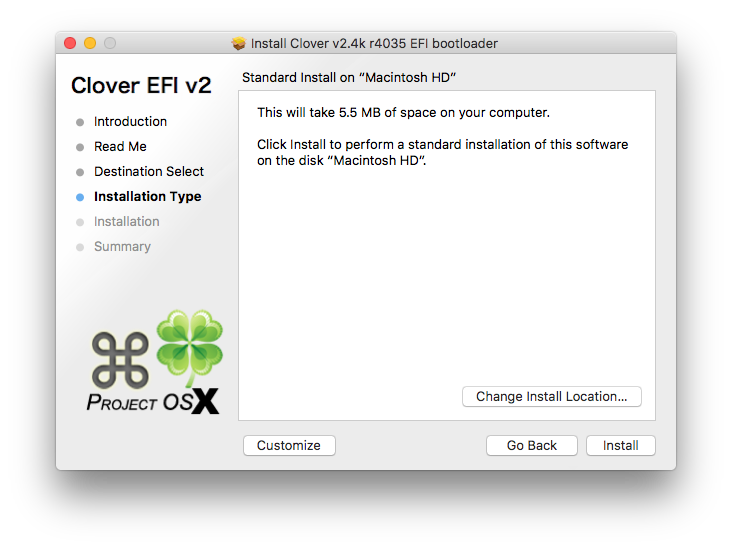 I stuck with this and reinstall many times, but still the same. 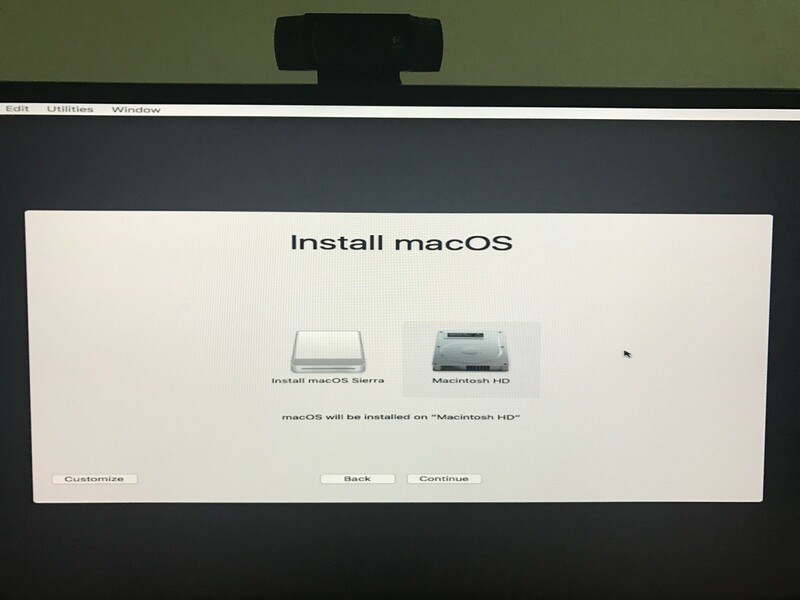 Then install and restart your Hackintosh. 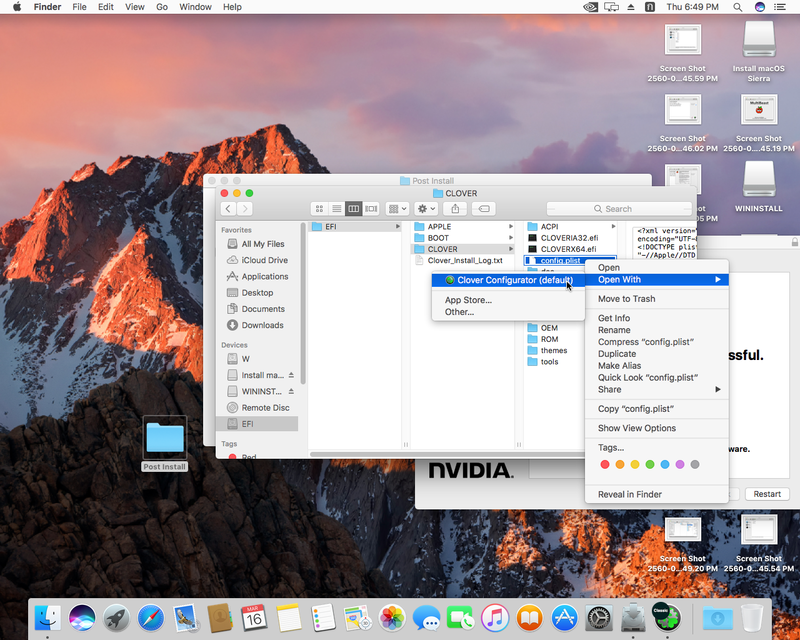 Now my NVIDIA GeForce GTX 980Ti is working on my Hackintosh !! 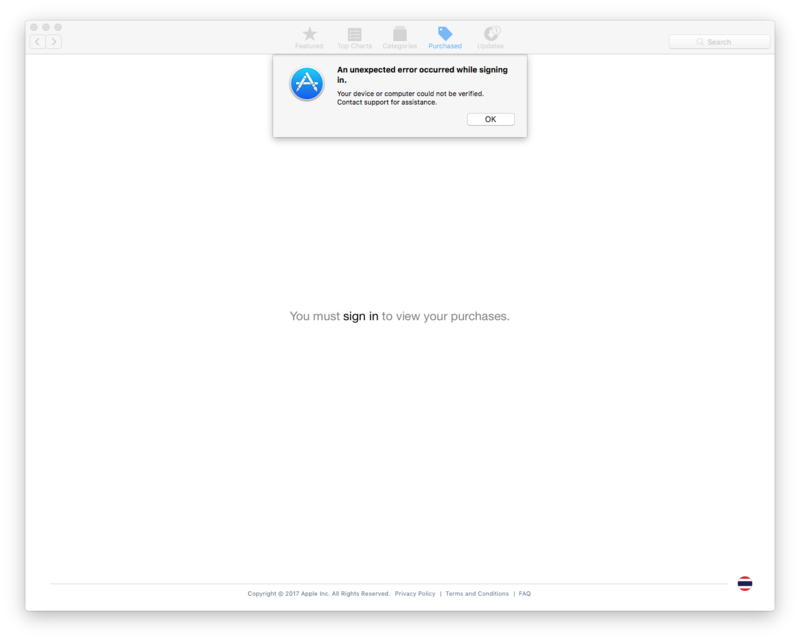 Last thing, if you unable to sign in to mac AppStore. 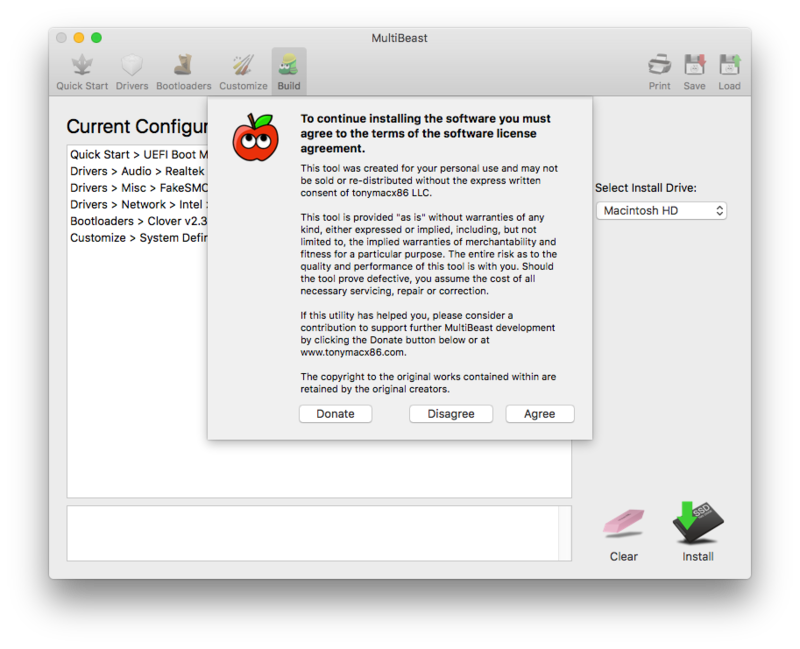 There is something you need to fix to make it work properly without reinstalling. 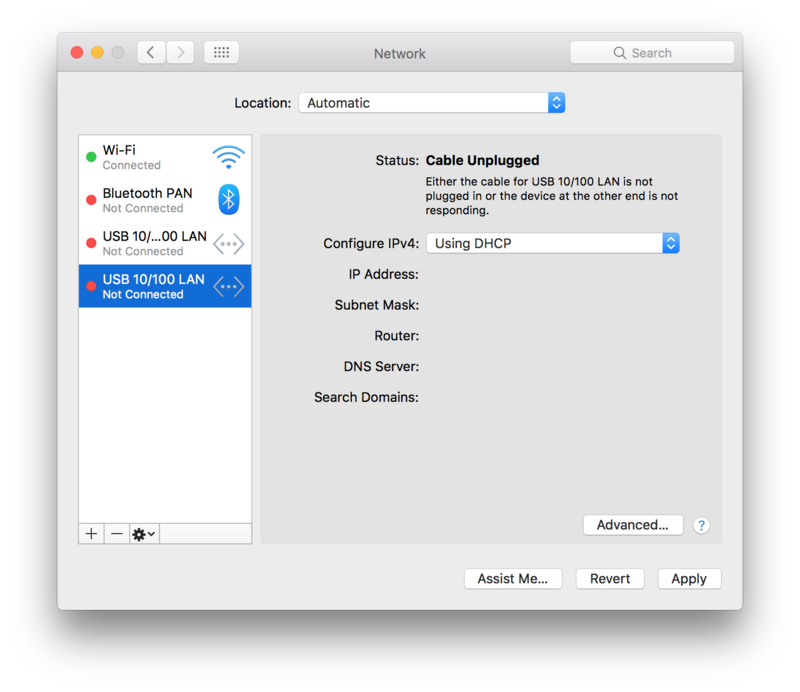 Go to System Preferences > Network, Then remove all of it by click on minus one by one. 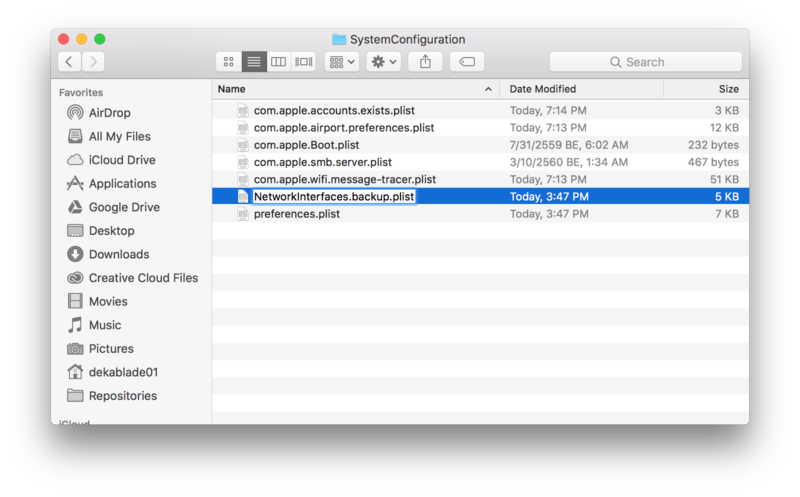 Change NetworkInterfaces.plist to NetworkInterfaces.backup.plist and restart your Hackintosh. 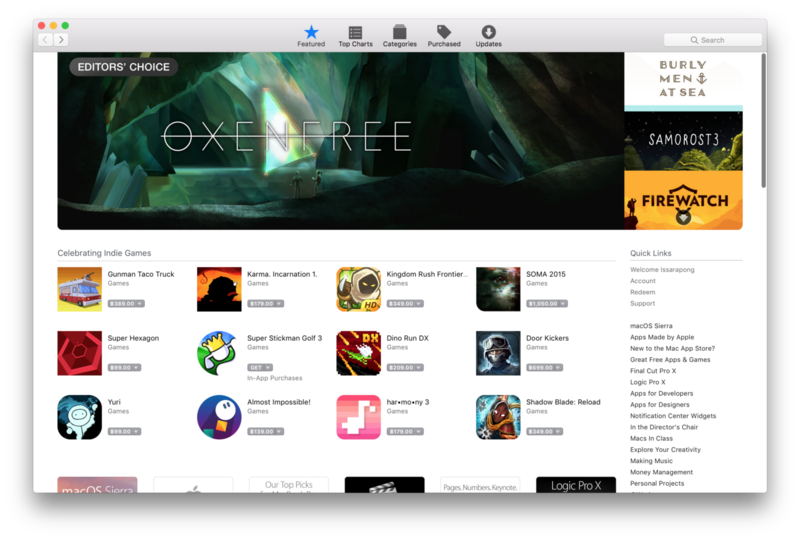 Now your mac AppStore is able to Sign in ! !